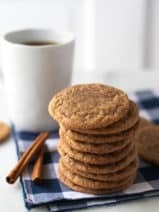 I’m teaming up with Crisco®, as a Crisco Creator, to help inspire home cooks with new recipe ideas and cooking and baking tips using Crisco® products. 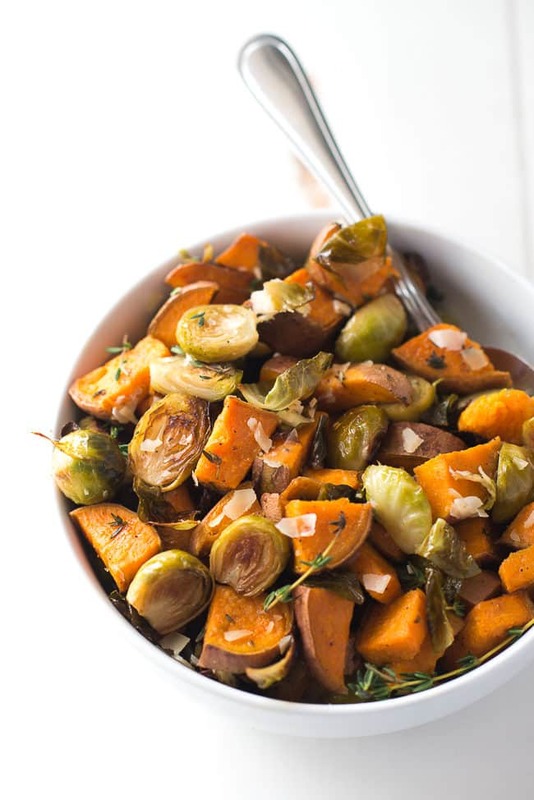 I’m all about the veggies this summer, and while roasted sweet potatoes and Brussels sprouts may sound like an unusual combo, they are a match made in vegetable heaven! One trick to vegetable roasting that has really changed the game for me is using Crisco® Organic Refined Coconut Oil. It’s a refined coconut oil developed for versatility in cooking that doesn’t have a taste or aroma, so it doesn’t affect the taste of your food. 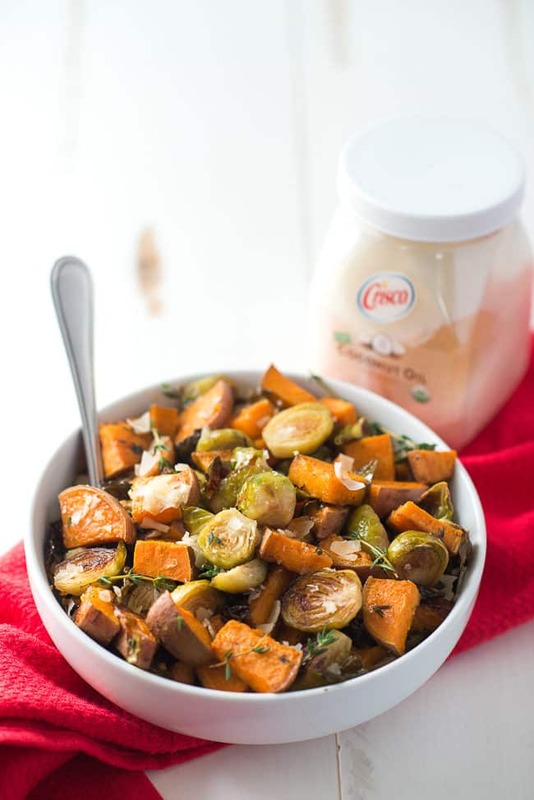 For my family this is great as it really allows the flavor of the food to shine through, in this case, our lovely summer crop of sweet potatoes and Brussels sprouts. 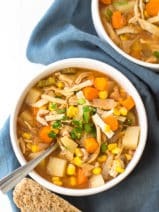 Coconut oil is a solid below 75 degrees, so in order to use it to coat your vegetables in this recipe, you’ll just need to pop it in the microwave for about 10-15 seconds. 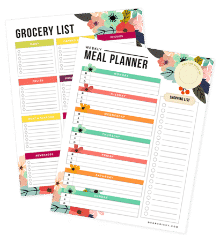 It’s important to me to include healthy fats in my family’s diet, and cooking with Crisco® Organic Refined Coconut Oil is one easy way I accomplish that. It can be used with a 1:1 replacement ratio with other oils and butters. 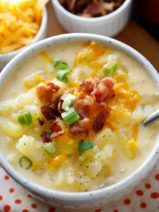 This dish makes a wonderful side paired with a chicken, fish or beef, but could easily be a main dish for vegetarians. Skip the cheese if you’re vegan! 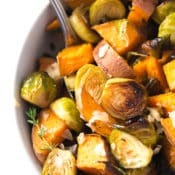 Check out my roasted sweet potatoes and Brussels sprouts tutorial video below for all the yummy details. 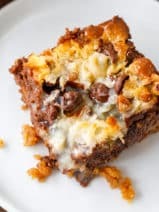 The first time I made this dish my husband was a real skeptic. He had never tried sweet potatoes with Brussels sprouts so he wasn’t sure if he’d like it. He was a believer after one taste. 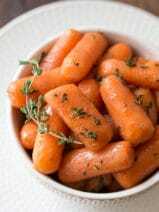 The fresh thyme and other seasonings in this recipe are really simple but give the veggies a great flavor. This dish is just so simple but also really nice and unexpected. 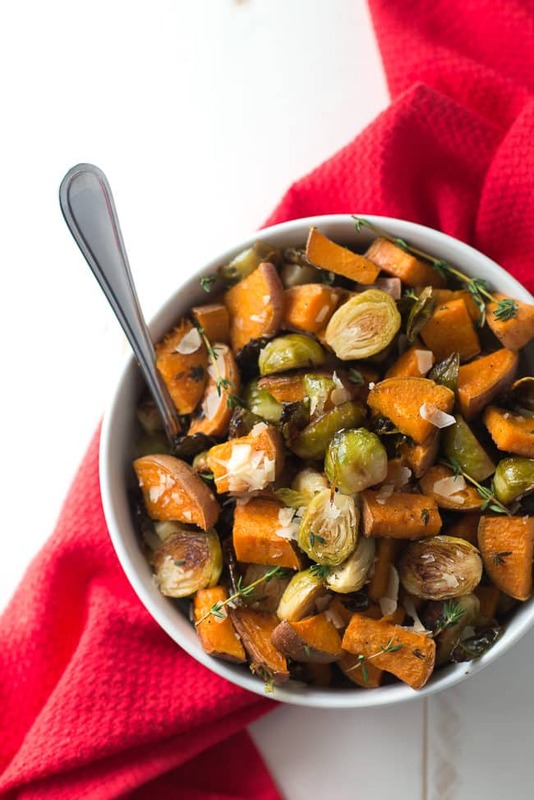 We enjoy these roasted sweet potatoes and Brussels sprouts so much that I’m actually planning to make it this fall as a Thanksgiving side dish! If you haven’t tried this delicious combination, you definitely should! Likewise, if you’ve never tried cooking with coconut oil, you should give it a whirl. 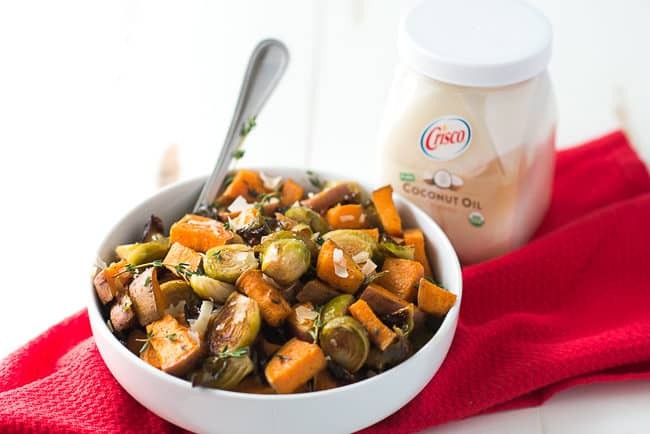 Be sure you choose a refined coconut oil like Crisco® Organic Refined Coconut Oil—it’s best for high heat cooking. Plus, I’m always a fan of products that are organic! It’s made with naturally sourced coconut oil, Certified USDA Organic, and contains no GMOs. As a participant of a Crisco Ambassador Program, I’ve received compensation for my time and product samples for review purposes. Opinions are my own. Wash and scrub sweet potatoes (leave on the skin, there are so many nutrients here!). Cut into 1″ pieces. Wash and trim Brussels sprouts. Cut small Brussels sprouts in half and large ones in thirds. Add to a large bowl. Warm 2tbsp. Crisco® Coconut Oil in the microwave for about 15 seconds until liquid. Pour over veggies to coat along with thyme, garlic powder, cumin, salt and pepper. Combine well with a wooden spoon or your hands. 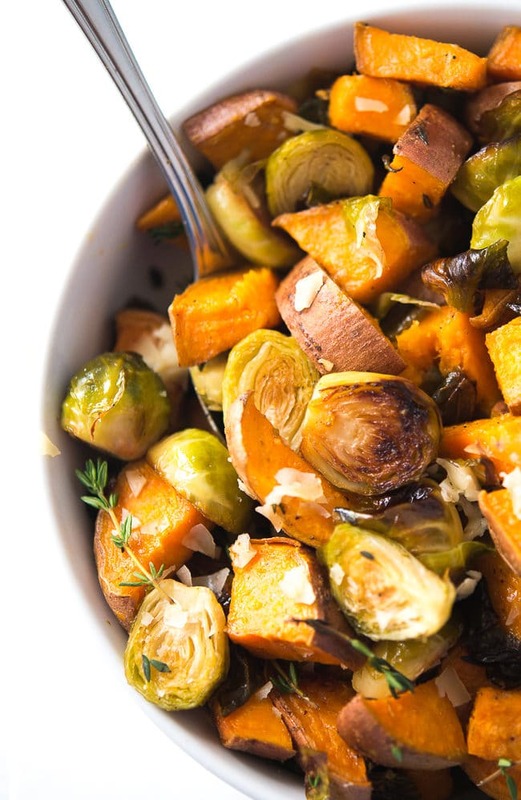 Pour veggies onto a large baking sheet and roast for 35-40 minutes, tossing half way through the cooking time. Roast until browned and tender. Add veggies to a serving bowl and optionally finish with grated parmesan cheese. Serve hot. TIP: Did you know? : You can replace oils and butters with Crisco® Coconut Oil using a 1:1 replacement ratio. Yep, worked out just fine for me! I actually find that the Brussels sprouts are harder to get soft, that’s why I cut them up into halves or 1/3’s :). Since the sweet potatoes are harder and thicker to bake, do you really bake both vegetables at the same time?